Dont miss out on any investment opportunity. Choose,evaluate and apply for IPOs, Mutual Funds and trade in shares from anywhere. The global increase in trade and foreign investments has led to many national economies becoming interconnected with one another. Rs. 10,000/- that's all takes to invest in Government Bonds. B.N.RATHI SECURITIES LIMITED was incorporated as Lark Leasing Limited, under the Companies Act, 1956 vide Certificate of Incorporation dated 30th September, 1985 with Registration No. 5838 of 1985-86 in the State of Andhra Pradesh. The Certificate of Commencement of Business was issued by the Registrar of Companies, Andhra Pradesh on 14th October, 1985. The name of our Company was changed to B.N. 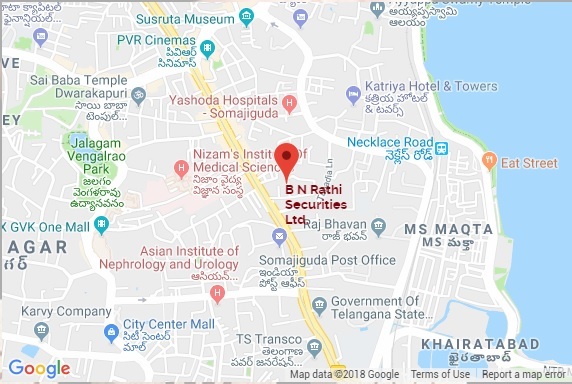 Rathi Securities Limited and fresh Certificate of Incorporation was issued by the Registrar of Companies, Andhra Pradesh on 15th September, 1994. Our Corporate Identification Number is L65993TG1985PLC005838. Started Subsidiary company named as B.N. Rathi Industries Private Limited. Started Subsidiary company named as B.N.Rathi Comtrade Private Limited. Incorporation of the Company in the name and style of "Lark Leasing Limited"
Put simply, a mutual fund is a pool of money provided by individual investors, companies, and other organizations. A fund manager is hired to invest the cash the investors have contributed. The goal of the manager depends on the type of fund; a fixed-income fund manager, for example, would strive to provide the highest yield at the lowest risk. A long-term growth manager, on the other hand, should attempt to beat the Dow Jones Industrial Average or the S&P 500 in a fiscal year (very few funds actually achieve this; to find out why, read Index Funds - The Dumb Money Almost Always Wins). We invite you to avail this exciting business opportunity to partner us as a Business Associate/Sub-broker/Franchise. Over 6 lakh clients trust our 25 years of Capital Market experience. Come and experience all the benefits of being a B.N.Rathi Securities Ltd Partner. Please fill the form for our representative to get in touch with you.